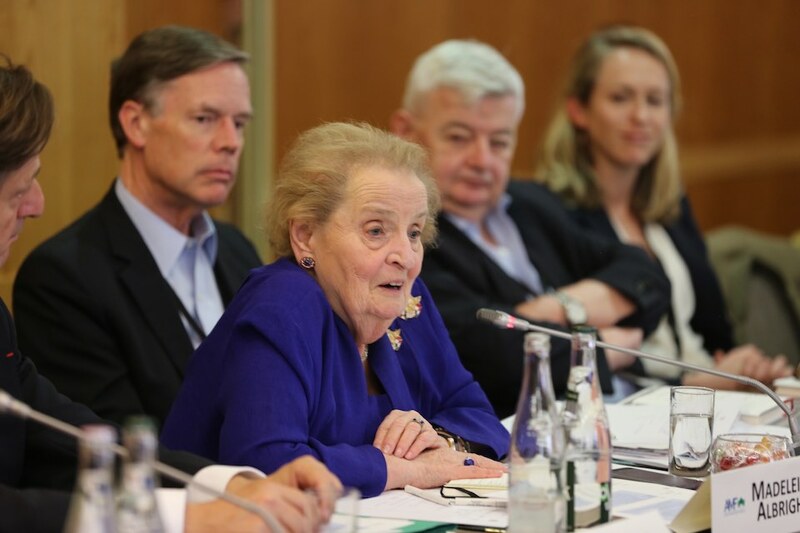 In 2003, former US Secretary of State Madeleine Albright founded the Aspen Ministers Forum (AMF) to strengthen diplomatic ties between the US and Europe. In response to the growing need for enhanced dialogue and trust across the globe, the group quickly evolved to embrace a broader mission and membership. Almost fifteen years later, it has established itself as a leading platform for nonpartisan dialogue, aimed at addressing and developing concrete policy recommendations to build upon and improve the work of key international institutions. 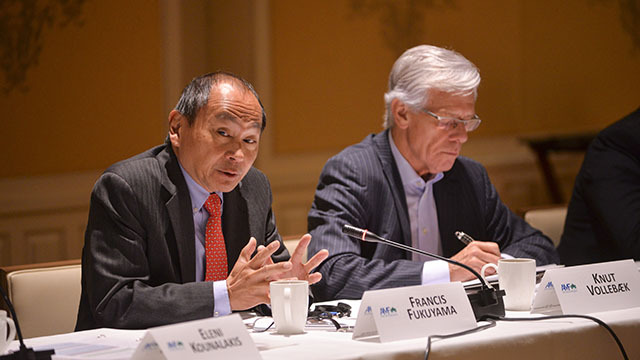 Once or twice a year, a diverse group of AMF members meet to craft new approaches to critical global challenges. Each summit elevates a specific topic, which may be a crisis that demands urgent attention or a long-term policy challenge that deserves closer examination. 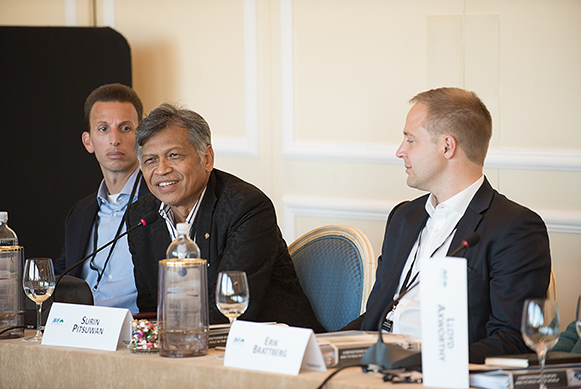 Over the course of several days, AMF members engage in intensive roundtable discussions, where participants leverage their history of constructive negotiations, policy acumen, and continued influence to develop novel strategies for complex transnational challenges. Senior government officials and leading experts are also invited to participate in the discussions based on each specific topic. These participants are in turn able to draw on insights from the meeting to enhance their own work. 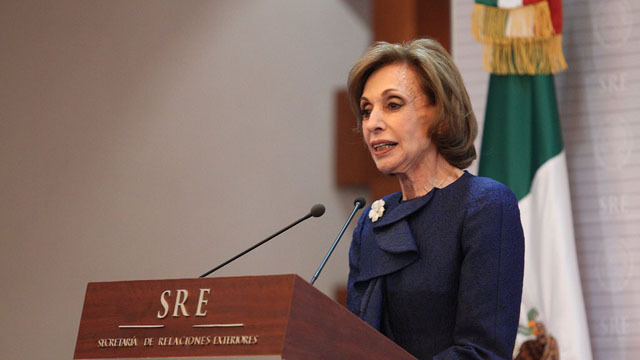 Through its members’ in-depth understanding of foreign policy and continued influence as opinion leaders, members of parliament, and advisers to governments and political parties, the group has made substantial contributions on issues including the reconstruction of Iraq, the fight against terrorism, government accountability and the social contract, and refugee crises. You can read more about the beginnings of the Aspen Ministers Forum in the feature piece “Albright’s Dream Team” in the Summer 2012 issue of The Aspen Idea. This session of the Aspen Ministers Forum will focus on reimagining current domestic and international institutions to face today's pressing challenges, from climate change to globalization and the reemergence of extreme nationalism. *This event is by invitation only.The Aspen Ministers Forum is an initiative of former foreign ministers from across the political spectrum. Highlights of this forum included a speech by former President of Turkey, Abdullah Gül, on the challenges facing the international community in the Middle East, and timely remarks by former Prime Minister of Greece, George A. Papandreou on the Greece-EU crisis. 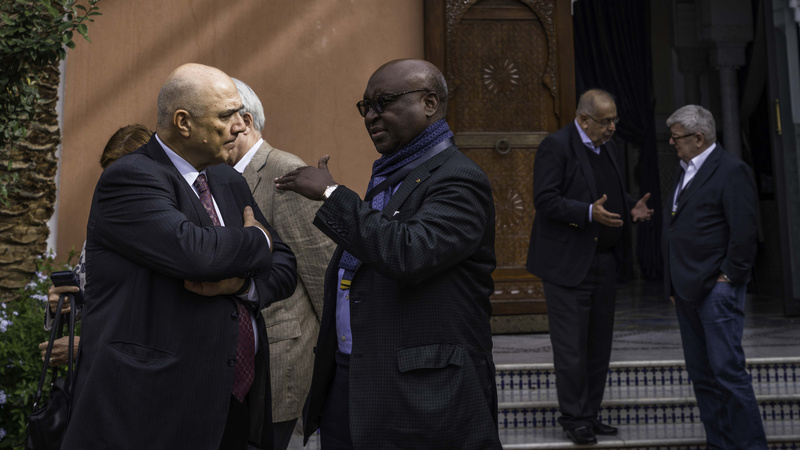 Twenty-five former foreign ministers examine the most pressing issues of regional security in North Africa and the Middle East and to identify the stakeholders that can play a role in bringing peace and stability to the region. The Ministers convened to discuss the remarkable transitions underway in the Arab world, in Prague, a city which served as an apposite backdrop for the topic at hand, and its lessons for democratic transition were both well-incorporated into the discussions and much appreciated by the Forum. Following on the previous meeting in The Hague that examined the loss of faith in international institutions, the Ministers met in Copenhagen to narrow their focus and produce meaningful ideas on ways to strengthen these institutions and increase their effectiveness, specifically in the areas of peace and security. 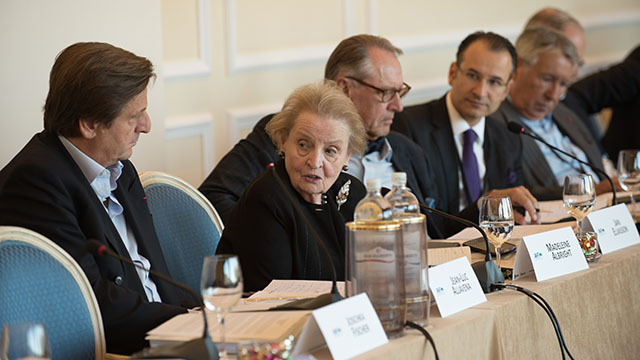 Statement by Madeleine Albright on behalf of the Aspen Ministers Forum.